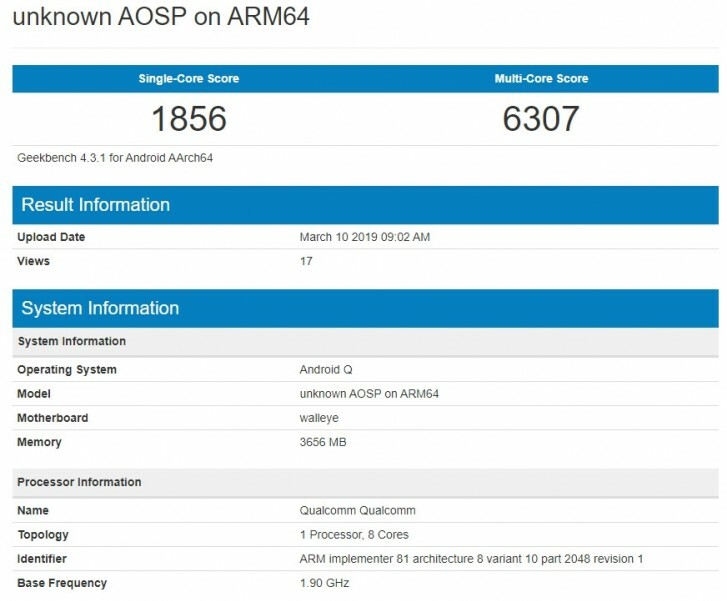 Google Pixel 2 Caught Running Android Q - DKHD Tech..
GeekBench shows that the device is unknown when running the Android Q test. But we know that the walleye code name is used for Google Pixel 2.Expected developer preview of Android Q will be previewed this year in Google I/O May 7. As of now we are not confirmed about all the new features of Android Q but dark mode and desktop mode will be in Android Q.